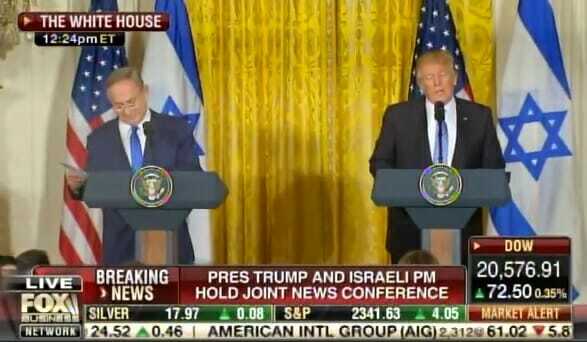 President Donald Trump met with Israeli Prime Minister Benjamin Netanyahu today in the White House. The first question went to David Brody from the Christian News Network who asked about the continued intelligence leaks. President Trump: Michael Flynn, General Flynn is a wonderful man. I think he’s been treated very, very unfavorably by the media. As I call it the “fake media” in many cases. And I think it’s really a sad thing that he was treated so badly.